Unfortunately with all the energy and anticipation of planning for the holidays, now that Christmas is over I feel like crawling into bed and pulling the covers over my head. I'm completely exhausted. Anyone else feeling this way? I decided for my last installment I would share a sneak peek of what is to come on January 2nd when I will be sharing most of my completed December Daily album on Lori Whitlock's blog. 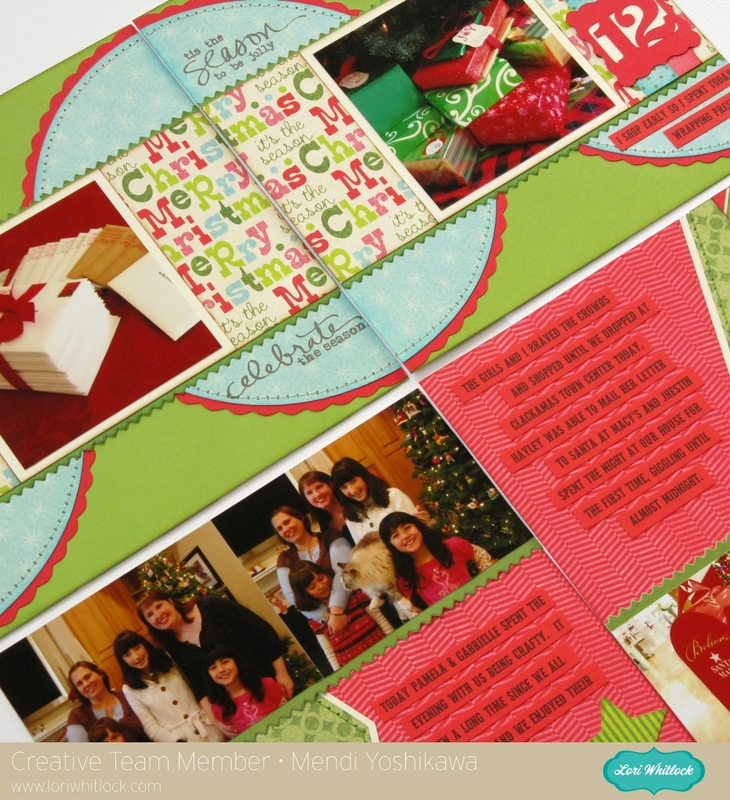 I also had a handful of Christmas cards that were featured over at Paper Crafts & Scrapbooking magazine's blog this past week which can be seen HERE, HERE and HERE.